What’s the Problem with Google changing its search results? Google Flights dominates the rich snippets in its search results. Google clearly has a huge influence when it comes to search and visibility, and its latest move has prevented some travel sites from appearing as rich snippets in results. TripAdvisor, Expedia and other sites have effectively been penalised for what Google considers to be bad practice, using the specifications at schema.org to manipulate users and traffic. Here’s the issue: when you search for a flight, Google wants to present you with information for that flight alone. Sites like TripAdvisor were using rich snippets to show information for destinations, and market lots of products under the same umbrella. This is very clearly against its rich snippet guidelines, which state that they must be used for specific products and services only. Of course, this isn’t the first time that brands have tried to shoehorn data into search results; we only have to look at the penalties over thin content and spammy guest blogging to know that. But it’s notable because it involves some huge travel brands, as well as many smaller websites. Rich snippets are a very powerful tool that can deliver enhanced information to your target audience. But the key here is relevance. If you use, for example, a 5-star rating system to show a movie review score in search, creating false ratings to get more traffic would be a clear violation of Google’s guidelines. 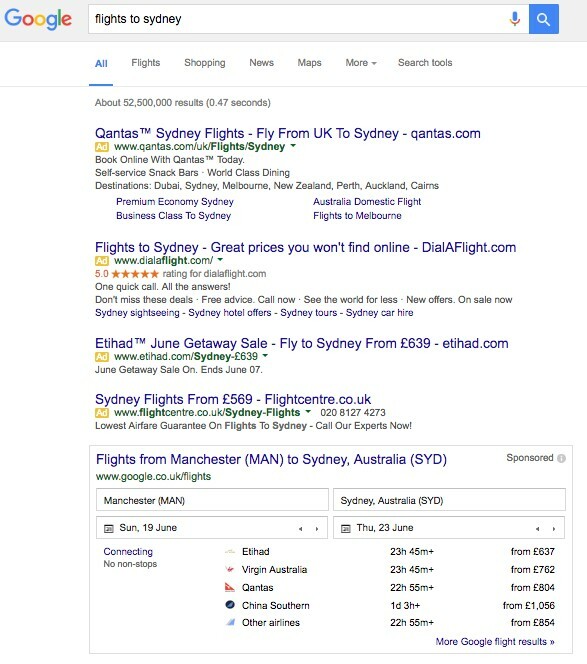 In the case of flight search, brands were abusing the rich snippet functionality by presenting irrelevant content, presenting misleading information, or making content invisible with display:none code (and similar tactics). Clearly, we all have to be careful not to abuse rich snippets. 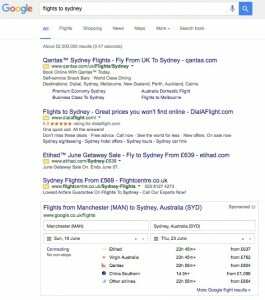 Google is thought to have applied manual actions to most of the airline industry, and has also dropped 15% of rich snippet results from search. This is a clear signal to the rest of the web: misuse this tool, and you will be penalised. When it comes to Google penalties, one strike can take out your entire business. Every company strives for great results from organic search, but slipping into spammy techniques is a definite risk. If your business needs to increase its visibility on the web, speak to our dedicated team at Ultimate. Our digital marketing specialists and corporate branding experts can increase organic search traffic, without straying into spammy territory. Call us today for a chat, without obligation 01565 651 589.